Home > Hand Cut Swordfish Steaks! Looking for something GREAT on the grill? There is nothing finer on the grill than a nice thick slab of Sword! Seafood Entrees • Atlantic Salmon Fillets • Baked Stuffed Jumbo Shrimp! • Classic Baked Stuffed Flounder! Our Sword steaks are cut right here on premises and frozen the same day to ensure their great flavor! "Fire up the Grill" and toss on a couple of these babies! Grilled Sword is Capt. Tim's favorite dinner! An Outstanding Gift Choice And A Great Gift Idea! Holidays, Anniversaries, Birthdays, or just a Great Thank You! 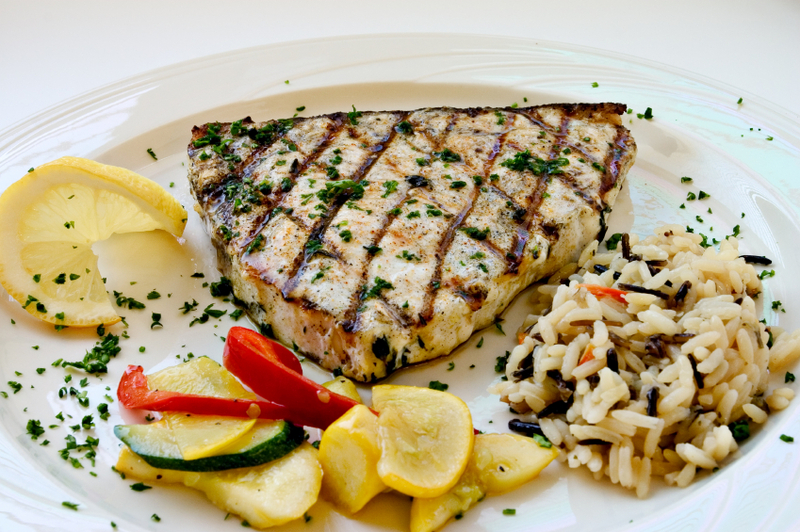 Order Your Swordfish By 10am EST, And Enjoy Them For Dinner Tomorrow!Sword Steaks Also Make A Great Gift Idea For Your Favorite Seafood Lover! How Easy Is That! We cooked it on the grill with mayonaisse as suggested. Melt in your mouth swordfish. It was excellent.